The food on your cafeteria plate started at the farm! Using our new Illinois Agriculture in the Classroom Poster, you can meet some of the farmers who grew your food! Click on the different colored sections of the My Plate logo to find more lessons and resources specific to each area of your Illinois Plate! 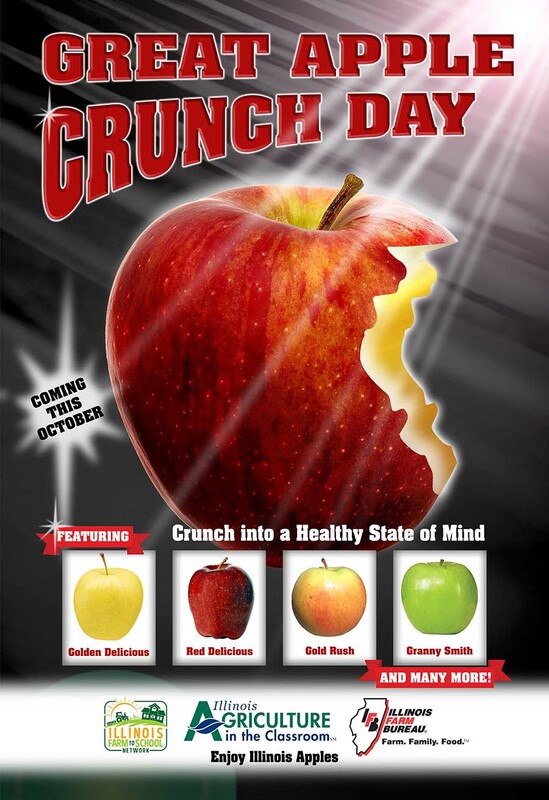 On October 12, 2017 we will be celebrating Apple Crunch Day! On this day we hope to see every student in the state enjoy an Illinois apple in his or her lunch. Help us celebrate the momentous occasion by exploring some of our favorite apple resources!